Here are some of the best festivals in California for 2019. Be sure to mark these on your calendars, these are ones not to miss. The top California festivals 2019 is the complete list of all the California festivals and events that you do NOT WANT TO MISS! All the top June festivals in California that you can not miss! California festivals you can’t miss! Top August California festivals and top things to do in 2019. Fringe Festival dates in California – Fringe festival is one of the hottest California music festivals besides Coachella. The post Vote your top 2017 to 2018 January festivals in California appeared first on Festivals4fun. The post Vote on your favorite California January event for 2017 and 2018 appeared first on Festivals4fun. Top September CA festivals and top things to do in 2019. Winterland Fest 2019 – held December 29, 2019 to December 30, 2019 in Santa Monica on 1401 Santa Monica Blvd. Sacramento Sportsmen’S Exposition – held January 17, 2019 to January 20, 2019 in Sacramento on 1600 Exposition Blvd. Bridal Premiere – held January 13, 2019 in Westlake Village on 880 S. Westlake Blvd. Pomona Reptile Show – held January 5, 2019 to January 6, 2019 in Pomona on 1101 W. McKinley Ave.
California State Winter Home And Garden Show – held January 11, 2019 to January 13, 2019 in Sacramento on 1400 J St.
Northern California Home And Landscape Expo – held January 25, 2019 to January 27, 2019 in Sacramento on 1600 Exposition Blvd. Top February California festivals and hit events. 2019 Best California festivals and celebrations. Vote on your favorite today. Here are our highest rated events from 2017 that are sure to be stellar in 2019. Top California festivals and events rated by desirability and interest. Highest rated available for 2014 events and festivals in California. Great job in this great state. Carlsbad 5000 – will be held at The Village of Carlsbad in Carlsbad, CA and held on March 24, 2019 to March 25, 2019. Womens Expo Tour – Coalinga – will be held at Harris Ranch Inn in Coalinga, CA and held on March 10, 2019. San Diego Latino Film Festival – will be held at AMC Fashion Valley in San Diego, CA and held on March 15, 2019 to March 25, 2019. Murder Mystery Dinner Train – will be held at Fillmore & Western Railway in Fillmore, CA and held on March 24, 2019. Spring Festival – will be held at Westminster Civic Center in Westminster, CA and held on March 24, 2019. Roadshow – will be held at Citizens Business Bank Arena in Ontario, CA and held on March 4, 2019. Cayucos Sea Glass Festival – will be held at Cayucos Vet’s Hall in Cayucos, CA and held on March 10, 2019 to March 11, 2019. Scrapbook EXPO – Pleasanton – will be held at Alameda County Fairgrounds in Pleasanton, CA and held on March 2, 2019 to March 3, 2019. Circle of Art – will be held at Christmas Circle Park in Borrego Springs, CA and held on March 10, 2019 to March 11, 2019. 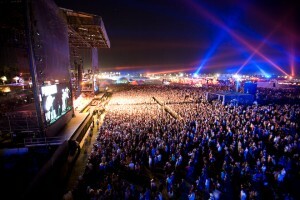 Coachella – is a great 5-star celebration held in Indio and one of the top California events annually. Spring Festival – this 4-star festival is held in Sonora and an event you cannot miss out on. Cherry Blossom Festival – this 4-star festival is held in Monterey Park and an event you cannot miss out on. Earthfair – a 2-star event in San Diego. Treasure Fest – a 2-star event in San Francisco. Village Fest – a 2-star event in Palm Springs. California Wine Festival – a 2-star event in Dana Point. Torrance Antique Street Faire – a 2-star event in Torrance. Imaginology – a 2-star event in Costa Mesa. Big Hat Days – a 2-star event in Clovis. Glen Park Festival – a 2-star event in San Francisco. Santa Clarita Swap Meet – a 2-star event in Santa Clarita. San Joaquin Asparagus Festival – a 2-star event in Stockton. Taste of Pismo – a 2-star event in Pismo Beach. Spring Craft Fair – a 2-star event in San Pablo. Earth Day Santa Barbara – a 2-star event in Santa Barbara. Fiesta Broadway – a 2-star event in Los Angeles. Pomona Swap Meet and Classic Car Show – a 2-star event in Pomona. Orange Blossom Festival – a 2-star event in Lindsay. Adams Avenue Unplugged – a 2-star event in San Diego. Redwood Coast Music Festival – a 2-star event in Eureka. Earth Day San Francisco – a 2-star event in San Francisco. Railfest – a 2-star event in Fillmore. Stagecoach Country Music Festival – a 2-star event in Indio. La Jolla Concours D’Elegance – a 2-star event in San Diego. Earth Day Santa Cruz – a 2-star event in Santa Cruz. Cherry Blossom Festival Cupertino – a 2-star event in Cupertino. Beer Festival Los Angeles – a 2-star event in Los Angeles. Hughson Fruit and Nut Festival – a 2-star event in Hughson. Bodega Bay Fisherman’s Festival – a 2-star event in Bodega Bay. Day at the Docks – a 2-star event in San Diego. Gem Faire / San Diego – a 2-star event in San Diego. Santa Clarita Cowboy Festival – a 2-star event in Santa Clarita. Recycled Treasures – a 2-star event in Paso Robles. Sacramento Antique Faire – a 2-star event in Sacramento. Check out the top May California festivals and top things to do in the state for 2019. 10 Responses to "Top California festivals in 2019 that you can’t miss"